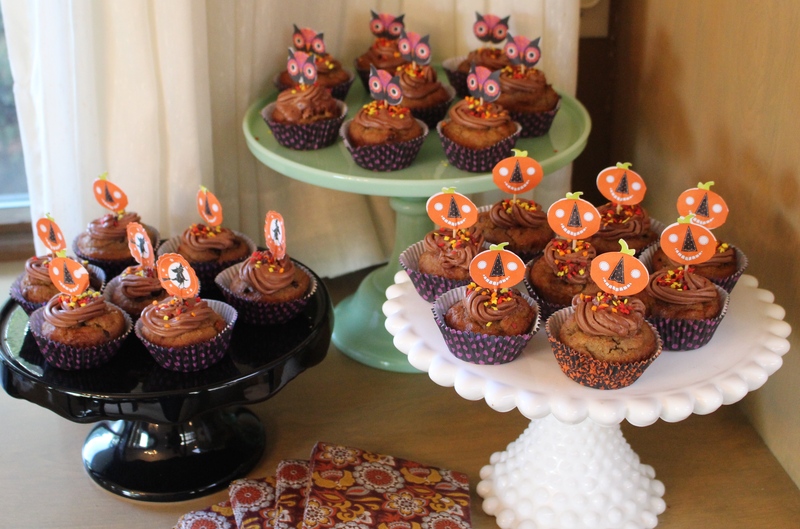 If you have children, go to parties, celebrate Wednesdays, or breathe air having a delicious cupcake recipe is a must. Cupcakes equal happiness…unless you have a dairy or gluten allergy. Then they just equal upset stomachs and headaches. Well not with this recipe! I modified these cupcakes from Elana’s Pantry Chocolate Chip Banana Cake recipe. These cupcakes are gluten-free, paleo, dairy-free and simply homemade yumminess! And the frosting is a perfect addition to a scrumptious dessert! To get the dairy-free chocolate frosting recipe click here. Preheat oven to 350 degrees. Using a handheld mixer or stand mixer whisk together 3 eggs in a large bowl. Add mashed bananas, maple syrup, vanilla, and oil. Mix all of these wet ingredients together. In a separate bowl mix together almond flour, baking soda, and sea salt. Add your dry ingredients into your wet. Once combined, mix in the chocolate chips and walnuts. Line a cupcake tray with either silicone or paper baking cups. If you use silicone make sure to lightly grease them with coconut or palm oil so that the cupcakes fall out easily. Fill the baking cups 3/4 of the way. Bake fore 25 minutes. Let cool an hour before frosting. 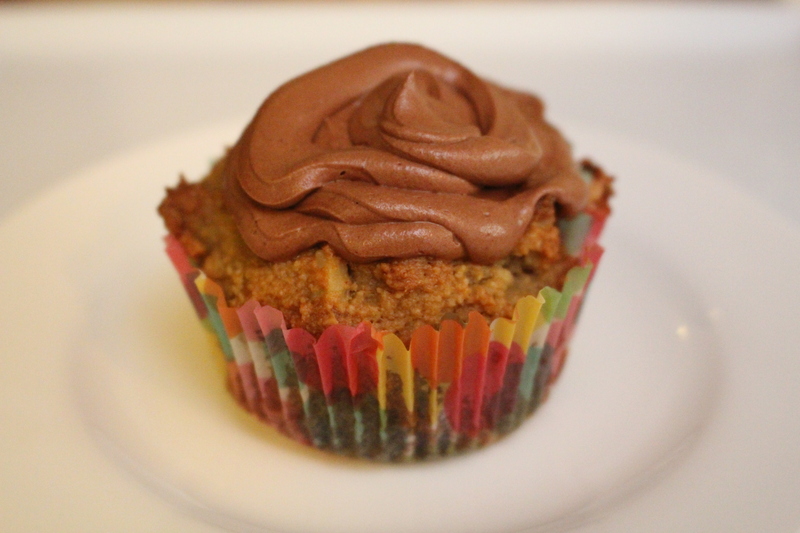 Find my dairy-free chocolate frosting recipe by clicking here. Here they are on display at my daughter’s 2nd birthday party (she’s a Halloween baby which explains the witches and pumpkins). They were a huge hit- especially with the kiddos.